I felt very honored to be asked to attend this function and learned a great deal. Being a member of such a distinguished organization like Heritage has given me the opportunity to educate myself, become more self-confident in my conservative beliefs and a stronger hope that conservative, traditional values will prevail in the end. As a former nurse, Judy understands the importance of freedom keenly. Every day she saw why patients need to be the decision makers when choosing their doctors and treatment plans. Judy, like many Heritage members, believes that conservative values are of utmost importance to pass onto younger generations of Americans. She uses Heritage research to pass onto her family, and was a stay-at-home mother while her children were in school, ensuring they were instilled with the values that she treasures. I would not want to leave this world, this great country, America, without knowing that I had tried my best to do what I could do as one individual to restore the lost values and traditions of this country, for my children and grandchildren. I ask God each day to help me in this important challenge. 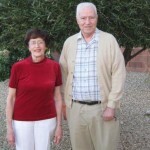 By now you are aware Judy Weiss lives in Tucson. Perhaps Tuscon is a part of “Tuscony”. Sorry, couldn’t resist. Thanks for catching our error! sure you don’t get the credit you should. Kudoes. 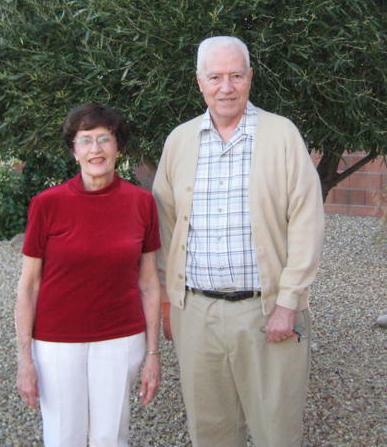 Jim & Lois Montrose , Colorado We also love AZ. Now I know why my replies have never been accepted!! I have read this site for years and love it – never miss it! So many times I wanted to reply, and see that I entered my Email address wrong! Now that I have two new lens inplants, this Greatgreat-grandma still wants to reply!! I read this column daily because I love and care about the generations I leave behind. I read this column daily because I care about this Country I love so much! I read your colums daily because you believe, as I do, that it was founded on a Christian foundation, and as long as we had – and followed – the original belief of the founders of our Constitution and the Declaration of Independence, we would be a “Blessed Nation”! And we were, for most of my life!! Looks to me like this country has eliminated God from just about everything and Cesar has taken over all the rest!! Thank you Heritage Foundation for daily informing me of ways to conteract this downgrade of our “Inaliable Rights” daily and to keep us on the right tract!